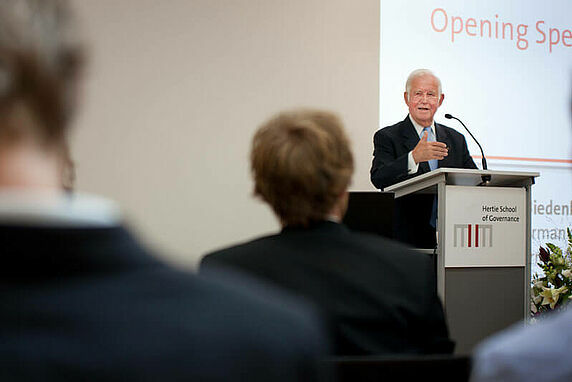 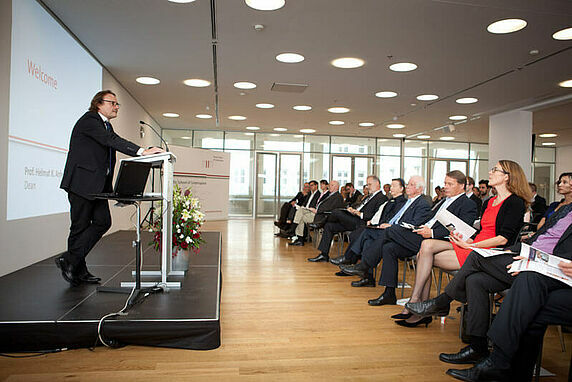 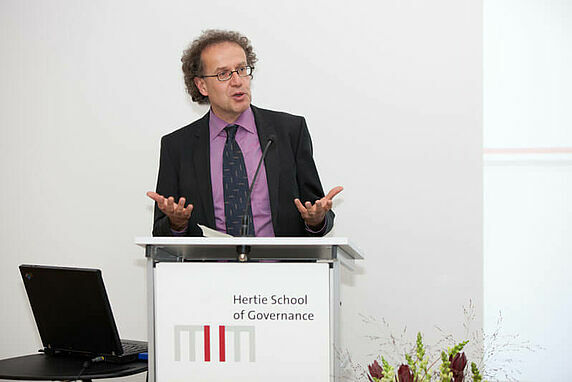 Prof. Dr. Kurt Biedenkopf, Honorary Chairman of the Hertie School of Governance's Board of Trustees, gave the official opening speech at the Inauguration of the PhD in Governance, a three year doctoral programme with a focus on governance and public policy in a globalising world. 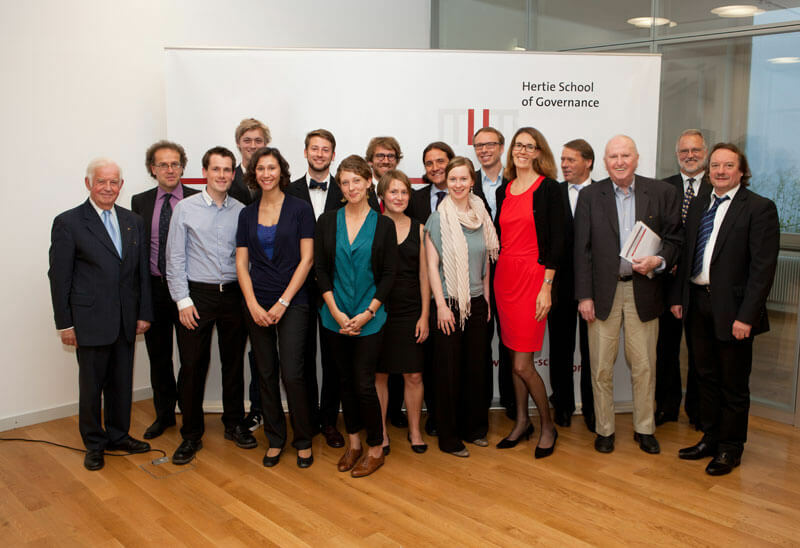 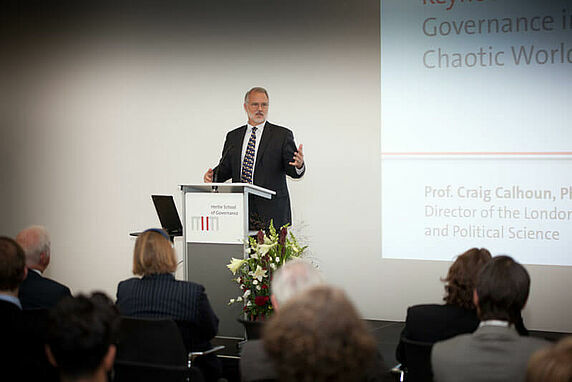 The Hertie School also welcomed Prof. Craig Calhoun, PhD, the new director of our partner university The London School of Economics and Political Science, who delivered the keynote on Governance in a Chaotic World at the event. 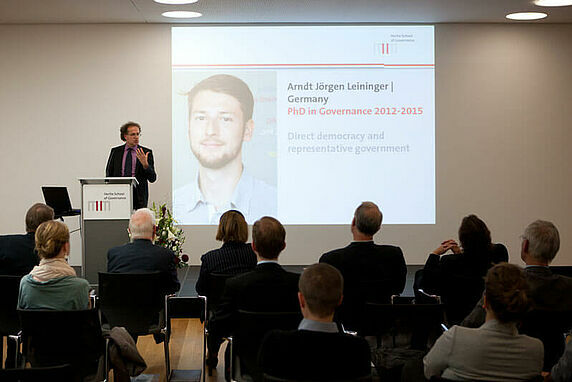 The PhD Director Prof. Dr. Markus Jachtenfuchs introduced the PhD in Governance programme and welcomed the first cohort of PhD students.